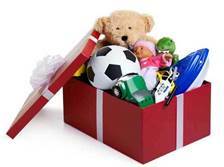 Registration for the Abilene Area Toys 4 Tots is held in conjunction with the Church Women United registration. The registration location is at the Saint Andrew’s Church Parish Hall in Abilene. December 16th, from 9am to noon, FOR THOSE THAT PRE-REGISTERED, at Sterl Hall in Abilene. ***For those wanting to make a donation to Abilene Area Toys 4 Tots, you can drop off monetary donations at Pinnacle Bank, 401 North Spruce, in Abilene. You may also drop off NEW toys in the Toys 4 Tots marked boxes located at several Abilene businesses including: Corner Stop, Dollar General, Downtown Overstocks, The Hair Emporium, Joe Snuffy’s Restaurant, Midwest Greyhound Supply, Mystic Hair Studio, National Greyhound Association, Pinnacle Bank, Shopko, and TCT.